I have to admit – I have been a little obsessed with keto cookies recently. Ever since I made the Keto Peanut Butter Cups and realized that yes you can, in fact, have delicious sweet treats while staying low carb, I have gone on to enjoy Keto Peanut Butter Cookies, Keto Chocolate Chip Cookies, and my new favorite – Keto Snickerdoodles. 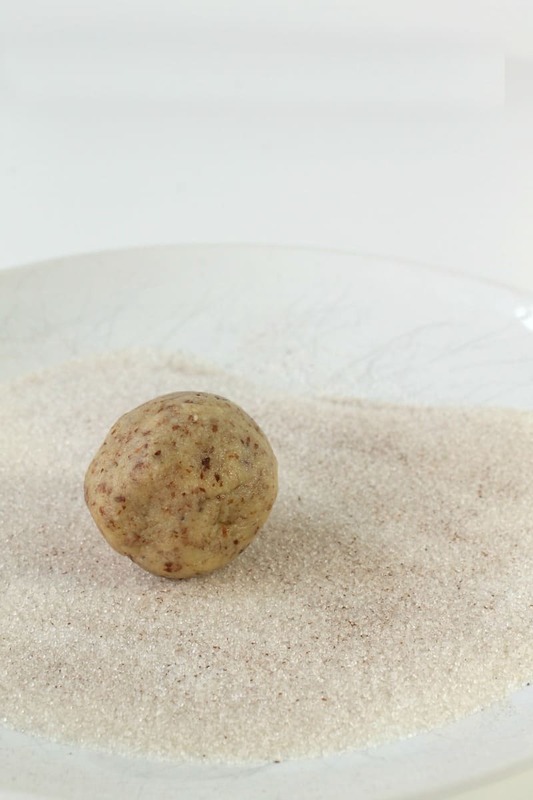 Up until I made this recipe I had actually never tried a Snickerdoodle, but I absolutely love everything cinnamon, so I thought this would be a great chance to try them out. I was amazed at how simple the recipe was. In fact, as the ingredients were mixing I was actually double checking the recipe to make sure I had not forgotten something. I was amazed when just three ingredients turned in to the perfect cookie dough. Now one thing I will say – I am going to add more cinnamon next time. While there was a hint of cinnamon flavor, I was really expecting more. Also, I use Swerve Granulated Sweetener for most all of my keto cookies and in this recipe and it turned out perfectly. Since this weekend marks the official kick-off to summer I wanted to dress these cookies up a bit. 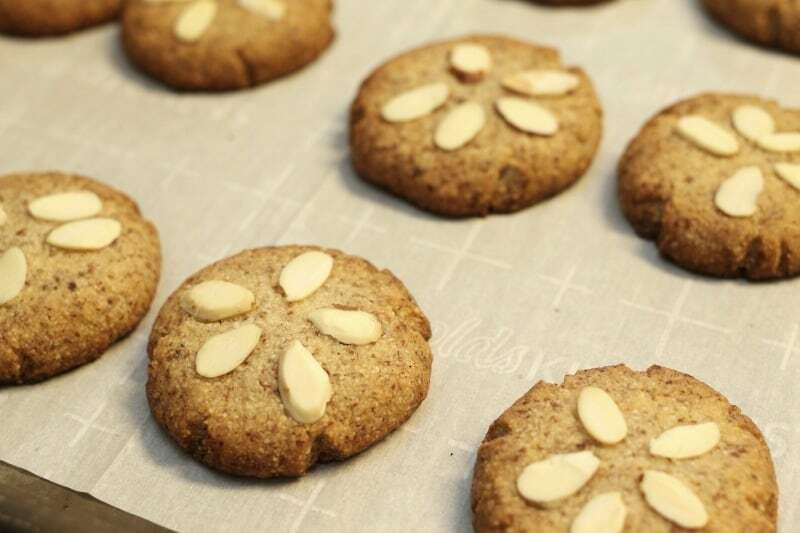 Since the main ingredient is almond flour I knew adding slivered almonds would be an easy way to make them pretty without messing up the taste. 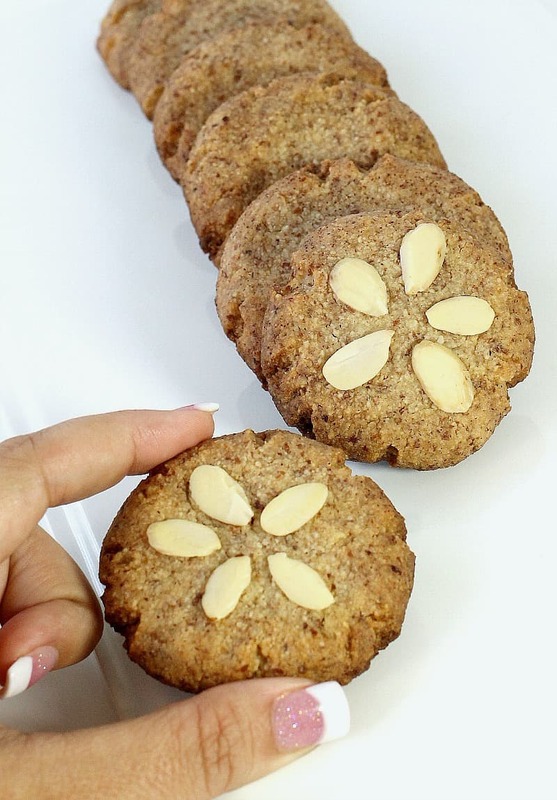 The most difficult part of this Sand Dollar Keto Snickerdoodle Recipe was finding five slivered almonds that were complete and close enough in size to make the little star. I had to table my OCDiva a bit to get through that part, but I was super happy with the results. The almonds on top are completely optional of course, but aren’t they cute?! Maybe it is the beach lover in me, but making anything beach themed makes me happy. I did, after all, have a beach themed wedding complete with beach theme save the date cards. 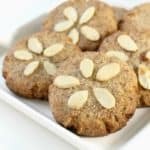 This recipe makes 16 cookies and according to my Favorite Keto Tracking App – Carb Manager (which is totally worth the upgrade!) 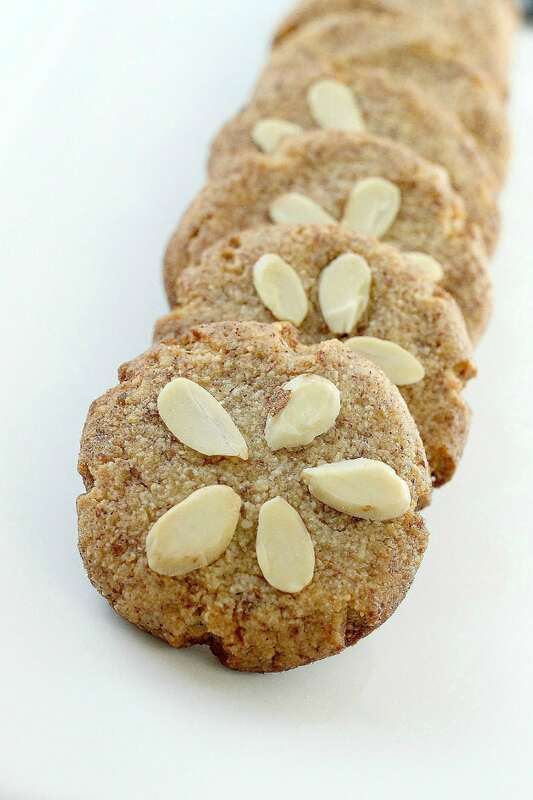 each cookie has 2 net carbs, 2 g fiber, 14 g fat, 3 g protein and 148 calories – and that is including the extra almonds! Can’t beat that! Delicious and simple Keto Snickerdoodle Cookies are the perfect bite of something sweet! 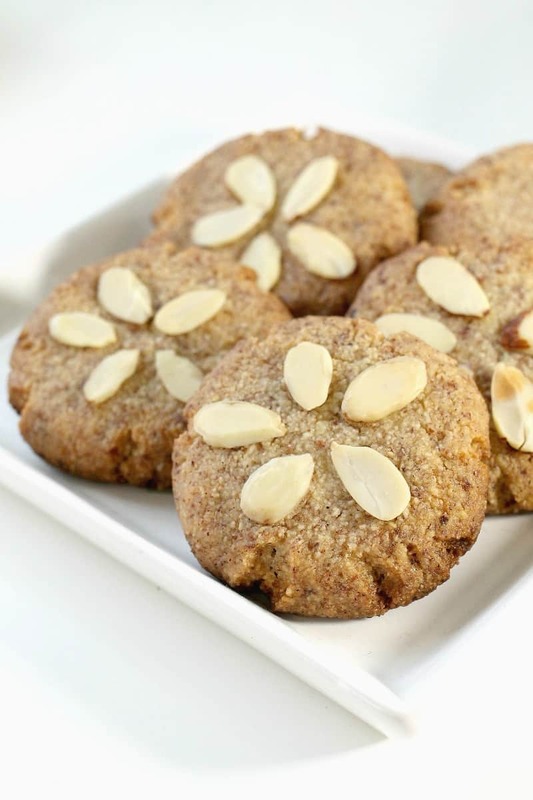 Add almond slivers to make Snickerdoodle Sand Dollars – perfect for summer snacking! In an electric mixer, mix cookie ingredients until well combined. With a spoon, roll dough into 16 balls of equal size and spread out on a parchment lined cookie sheet. 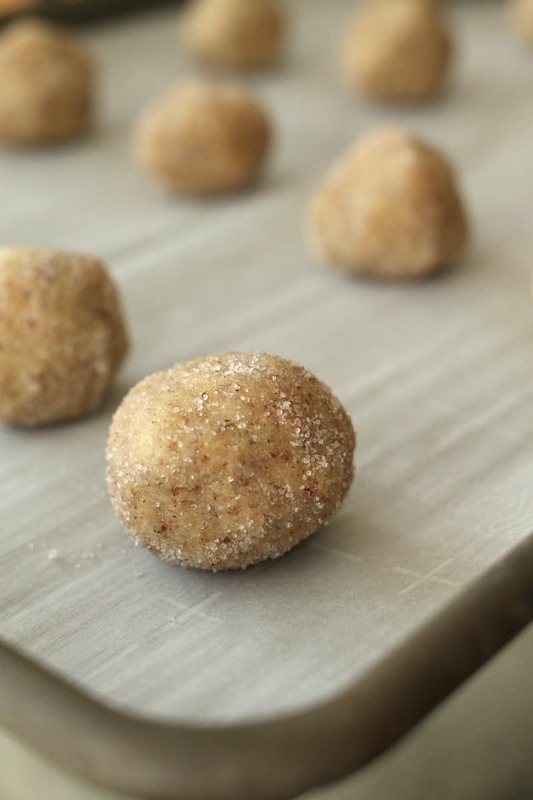 In a shallow dish, mix coating ingredients well and gently roll each cookie ball until completely covered. Replace cookies on parchment and gently flatten using your hands of a glass. Arrange five slivered almonds to make a star in the center. Bake at 350* about 12 minutes.